Our 160x160mm Square Invitation Boxes are sold in the 10's of 1000's every year. They are extremely popular for wedding invitations & gift vouchers as they are generally more affordable than rigid boxes and more importantly, they post for large letter in Australia** (from $2.00) - not the more expensive small parcel like the majority of invitation boxes that cost $7.45 or more just to post! This 160x160mm Square Invitation Box is made from our premium matte 250gsm card stock in a shade described as a very dark navy blue. 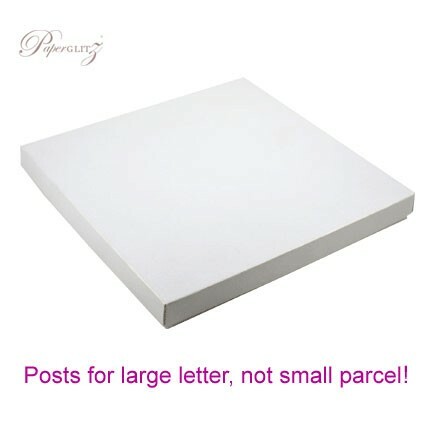 This 160x160mm Square Invitation Box arrives flat packed & unfolded for self assembly. Our boxes have special self-locking corners and no glues are required. It also makes them easier to print on if required. These are specially designed so that when properly folded they measure approx. 165x165mm on the outer lid and are only 19mm in external height. Inside they have a clearance of approx. 158x158mmx16mm. This 160x160mm Square Invitation Box is made from paper that is manufactured by Arjowiggins Creative Papers in the UK and is converted and packaged by Paperglitz in Sydney, Australia. This is a premium range of papers that has for many years been a favourite for all wedding stationers. We also carry this colour in 250gsm Card range of die cut DIY invitation cards. 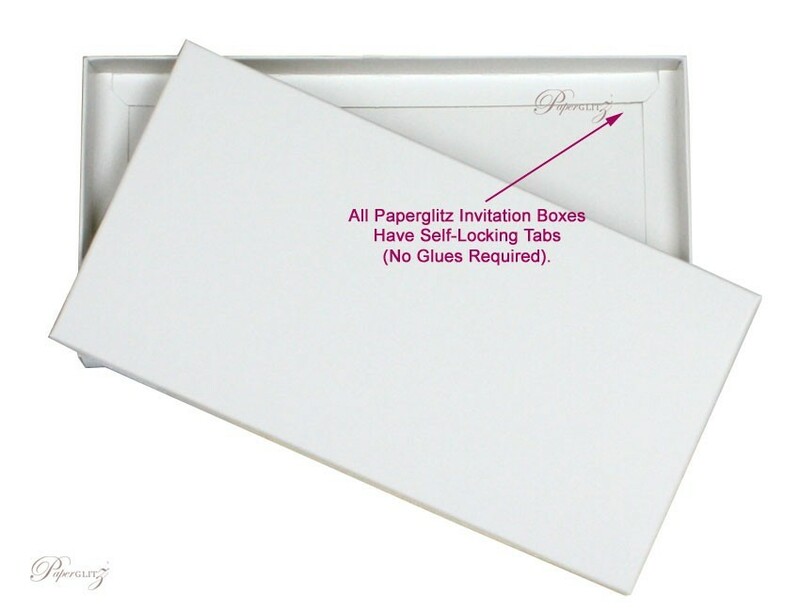 Buy with confidence and specify only "Genuine Paperglitz 160x160mm Square Invitation Boxes" for your next project.